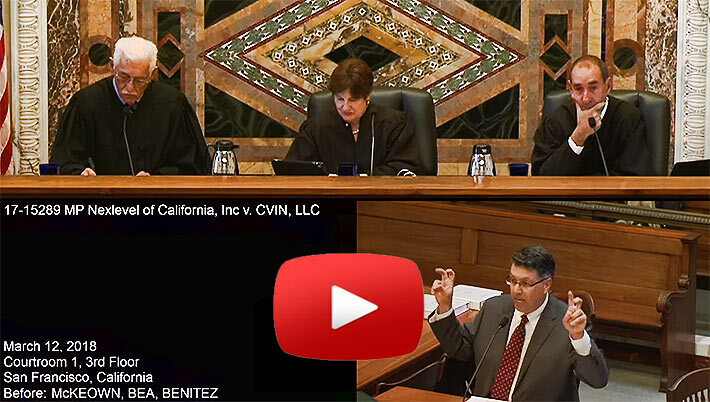 Oral arguments were held March 12, 2018. The justices made their decision in favor of MP Nexlevel last week. The Ninth Circuit Court of Appeals last week restored a telecommunications contractor’s lawsuit seeking $18.1 million for work performed in support of a 1,371-mile fiber-optic cable network installation project in California, reversing a lower court’s verdict that installing underground conduit was not covered under the scope of the company’s specialty license, and California law states a contractor who performs unlicensed work is not entitled to recover payment for that work. The lawsuit is being carefully watched by California’s 4,882 low-voltage specialty contractors as well as contractors in other states that have similar license scopes that they use for trenching and burying underground conduit for their clients. In a report to the NTIA, CVIN said they were delayed in the project of providing fiber (in red, above) to California’s Central Valley due to delays in acquiring construction permits. 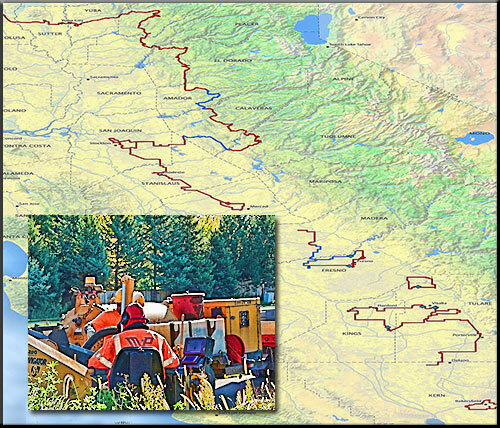 The company also said its high middle mile fiber cost of $83,635 per mile was due to “construction challenges associated with rocky terrain”. It also attempted to blame its contractor for the delays. According to the original breach of contract complaint filed in 2014 by MP Nexlevel of California, Inc. (MP), a turnkey contractor that provides small cell and macro cell installations along with other industry and underground services, the Minnesota-based company contracted with CVIN, LLC, dba Vast Networks to provide installation services for a large-scale broadband project through the Central Valley of California. CVIN is a joint enterprise comprised of affiliates of several independent telephone companies intent upon deploying a fiber backbone network in 18 counties, according to the complaint, and they anticipated that the $66.6 million cost of the project would be covered mostly by grants. In 2011, MP entered into an agreement with CVIN to offer plowing, trenching and boring-related services, but MP said once it became entrenched in the project it found that CVIN had insufficient capital to complete the project and it rushed through the process of applying for the National Telecommunications and Information Administration Grant without sufficient inquiries into whether their cost calculations and engineering studies were accurate. MP said that they were provided with inaccurate surveys of existing utilities shown in the staking plans, and were not provided geotech studies which resulted in cost overruns that were also increased by CVIN’s not getting governmental agency approvals. CVIN’s Dec. 15, 2014 last annual report to the National Telecommunications & Information Administration (NTIA) – the agency that administered a grant award of $46.6 million — identified that their cost per new middle mile fiber was $83,635 per mile. They said it was higher than their baseline plan “due to construction challenges associated with rocky terrain in northern mountainous segments”. Change-in-plans (CIP) requests totaled more than $7.5 million and MP said that many of the CIPs and invoices were over one year old. However, MP said that CVIN refused to add additional days to their project completion schedule for the added work that was being required. In March or April of 2013, CVIN CEO David Nelson, according to MP, informed them that the company had no more money for the project and he would have to go back to the board for additional funding. On Jan. 15, 2016, MP served CVIN with a notice demanding security for payment of past due work. The following day, Nelson mailed via overnight delivery a notice that MP’s contract was being terminated. CVIN said that the damage was substantial and the extent of which was still be assessed, but they were seeking compensation from MP’s performance bond provider. CVIN then made a novel and precedent-setting legal claim, submitting that MP only had a low-voltage C-7 California contractor’s license that wasn’t appropriate for the work that they had completed, therefore enriching them illegally and they would be required by California law to return all project payments they received back to CVIN which totaled $7.1 million. MP argued that the C-7 Low-Voltage Systems license allowed them to install cable which does not exceed 91 volts. The licensing board, in part, says: “A communication and low voltage contractor installs, services and maintains all types of communication and low voltage systems…”. Although there was no dispute that the fiber optic cable did not exceed 91 volts, and the parties disputed whether the project qualifies as a “communication system” and whether MP’s work constituted the installation of a communication system, U.S. Chief District Judge Lawrence O’Neill ruled that the means by which MP performed its work – namely, trenching and horizontal directional drilling (HDD)/boring – was outside the scope of its C-7 license, and was in conflict with a CalTrans requirement that a Class A or C-34 license was required for HDD work. O’Neill said MP’s analogy would lead to “absurd results,” taking it to the extreme by presuming a C-7 license holder would likewise be permitted to build a home, so that, when complete, the contractor could install a satellite dish on top of it. However, he failed to acknowledge that once a trench is opened and the conduit is placed, it is backfilled and ceases to exist as a supporting entity such as a house, a point argued by MP’s attorney during the appellate hearing. O’Neill denied MPs motion for summary judgment on July 19, 2016, and later dismissed all remaining causes of action between MP and CVIN, opening up the opportunity for CVIN to reclaim in a motion, collecting the $7.1 million that was paid to MP. In his ruling, O’Neill said the C-7 work was limited to “the placement of equipment in, on, and around buildings,” conflicting with the statutory definition that does not contain any specific limitations on where the systems to which the license applies can be installed, and many telephone systems are commonly installed outside of buildings. Berrigan testified that the CSLB had always interpreted the C-7 license statute to include the work performed by MP. He also said that any work done by MP that was arguably outside its license would fall within the “supplemental and incidental” exception. Oral arguments were made on March 12, 2018. On July 10, the three-member court disagreed with Judge O’Neill’s decision and it was reversed and will be tried or dealt with again. MP is asking for a jury trial that is expected to take 40 days. Low-voltage license requirements vary throughout the U.S.
Low-voltage license requirements throughout the country vary considerably. In Pennsylvania, no statewide license is required for low-voltage systems, although an electrician’s license may be required in some communities, according to the National Low Voltage Contractors Association (NLVCA). Wyoming requires a statewide license for a low-voltage contractor, which allows electrical installations of fewer than 90 volts for communication systems. The National Electrical Code (NEC) defines low voltage systems as those that run off of between zero and 49 volts; however, state and local jurisdictions may modify this definition such as Tennessee which is less than 70 volts. In order to provide low-voltage service work in New Jersey, a specialty electrical contractor license is required. The National Electrical Installation Standards association provides low-voltage state-by-state licensing information.